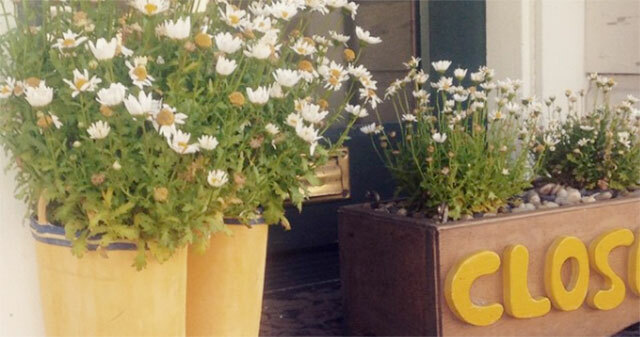 Where to find things made and grown in Nevada City! 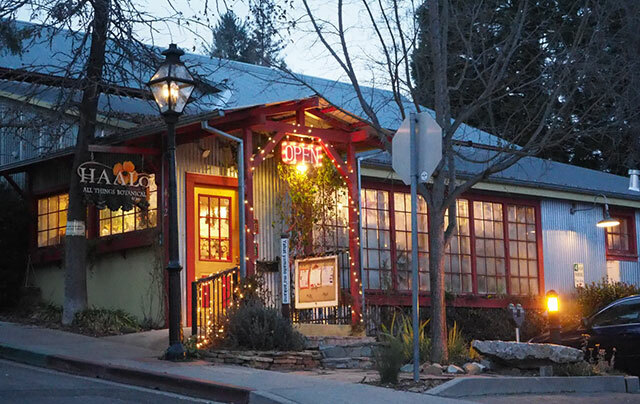 Your guide to eating, drinking and shopping local in Nevada City. From breweries and wineries, to farmstands and local grocery stores, you’ll be amazed at the creative talent and local food available in Nevada City. 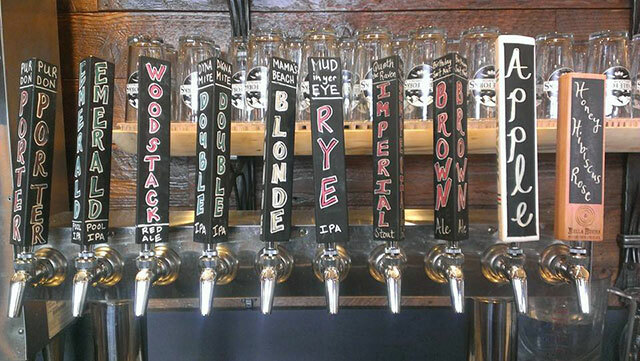 Ol’ Republic Brewery opened its taproom to the public in 2012 by brewers Jim Harte and Simon Olney. Inspired by renowned old-world styles, Harte and Olney handcraft lagers like Dead Canary, a Dortmunder Export, which won the 2016 California State Fair Commercial Beer Competition Best of Show. They brew a Munich-style Helles lager called Hell Beer, a Bavarian-style Schwartzbier called Bläk, and their version of a California Common named Frontier Amber, among other classic German styles. 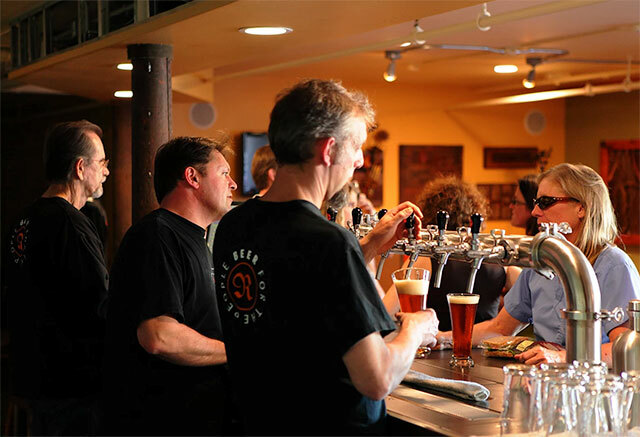 Their ales include an English-style IPA called Lucky Joe, the Irish-style Celtic Red, and Resolute, the blackest Export Stout you will ever encounter.Loved and frequented by families and their pets, their taproom has been coined the “Town Parlor” by some. It is a commercial brewery with a taproom. Visitors are encouraged to bring their own picnic basket, or order food from a variety of menus provided by local restaurants offering take-out. Children are welcome in the taproom and dogs on leashes are allowed on the non-smoking patio. Three Forks Bakery & Brewery Co.
Three Forks Bakery & Brewing Co serves wood-fired pizza, craft beer brewed in their 7 barrel brewhouse, regional wines, artisan breads, sandwiches, baked goods, fresh drinks, and much more. They source as much of their food and drinks as possible from local, organic, and fair trade producers. 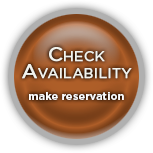 Their menu changes weekly – it’s fresh, simple, and based on what is available locally in each season. You can look forward to being served great food and beer! 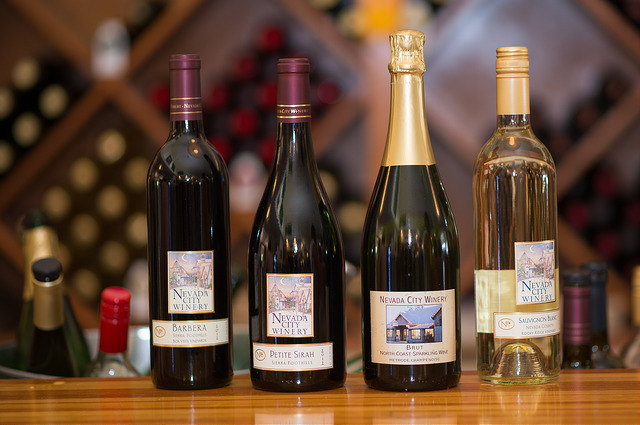 Creating world-class wines with a local flavor since 1980, Nevada City Winery is a full production winery located in the heart of Historic Nevada City, just blocks from where the original stood in 1880. Winemaker Mark Foster continues the tradition of producing flavorful and award-winning wines, earning Gold Medals, Best of Class, and Best of State awards for Syrah, Cabernet Franc, Zinfandel, Cabernet Sauvignon and Barbera. Enjoy sampling or wines by the glass, browsing for wine-related gifts or relaxing on the deck. 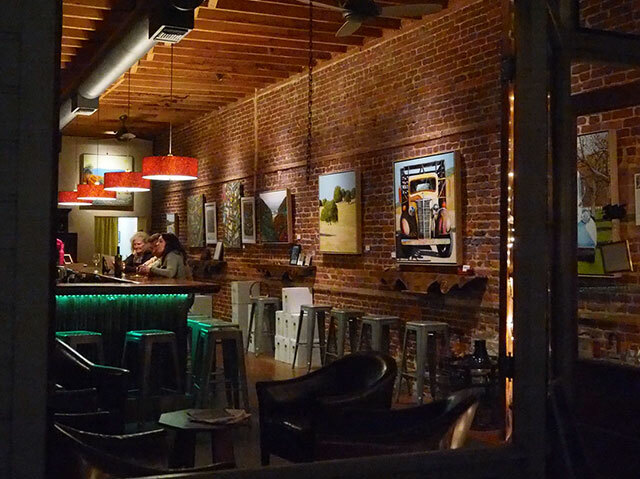 Their Tasting Room is located on Spring Street in downtown Nevada City. They offer complimentary tours of the winery on Saturdays at 1:30 pm. Szabo Vineyards is a boutique family-owned winery that produces wines made exclusively from their estate-grown grapes. Owner and winemaker Alex Szabo personally tends to all aspects of wine production from the vineyard to the bottle. Their vineyard offers award-winning Primitivo, Petite Syrah, Syrah and Zinfandel varietals made from our sustainably grown grapes. The tasting room is in downtown Nevada City, across from City Hall. It’s especially nice in the summer months when the tasting room shutters are open to the sidewalk. 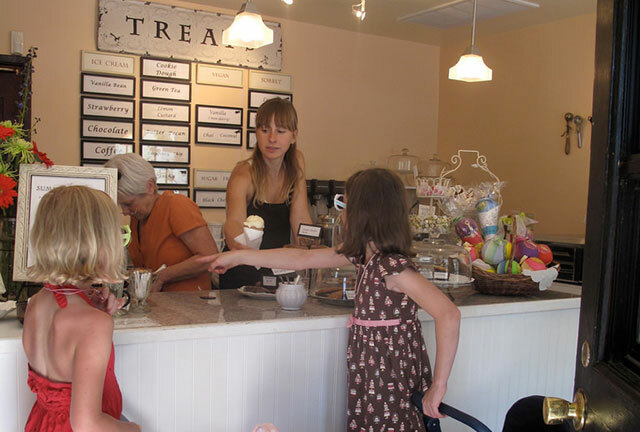 Treats in Nevada City offers exciting twists on traditional ice creams, sorbets, and baked goods. The desserts are made with local, organic, and seasonal ingredients whenever possible. A few favorites are mint chip, bittersweet chocolate, violet, and lemon custard. They also have delicious sorbets and vegan options. 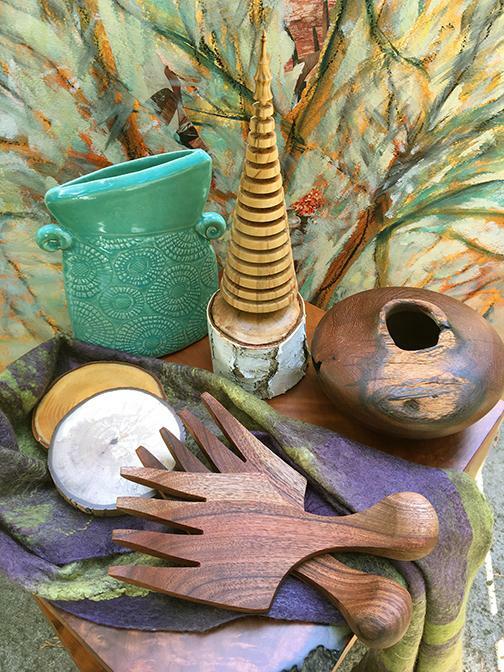 Kitkitdizzi offers independently designed and executed art, artifact, adornment, and finery made all over by the new generation of artisan and gathered most curatiously in Nevada City, California for your local pleasure. You’ll always find our favorite Pickle Pottery mugs there! 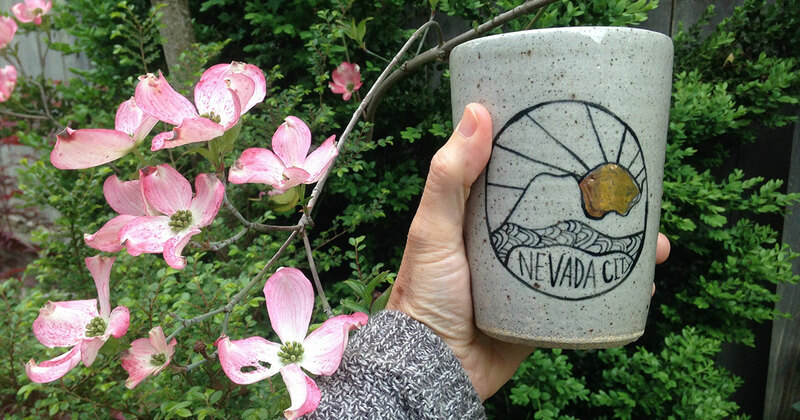 Pickle Pottery is locally made in Nevada County by Sierra College art instructor, Stephanie Adams. Each of her pieces is food safe and decorated with beautifully graphic blue or gold patterns inspired by the Wabi Sabi style. LeeAnn Brook Fine Art is an artist-owned gallery and combined studio. Located at 300 Spring Street, in the heart of historic downtown Nevada City, the 1,000 square foot gallery also incorporates the working studio of LeeAnn Brook, where visitors can see paintings in process and discuss the art with the artist firsthand. With a contemporary nature-inspired theme, the gallery features Brook’s large format contemporary paintings, as well as over five additional artists, whose work ranges from hand-turned wooden vessels, branch assemblage and sculpture, to ceramics and hand-blown glass. Shop for unique, locally made gifts and wares at Neva Co. on Broad Street. Here you’ll find jewelry, greeting cards, art, eco-friendly clothing and a wide array of hand-picked vintage clothing and accessories. These books aren’t exactly made in Nevada City, but they are books donated by local residents, and all the proceeds benefit the Nevada County Libraries. Most books cost between 25¢ and $3.00. Thousands of paperback and hardback books are included: fiction, nonfiction, children’s, collectible, etc. 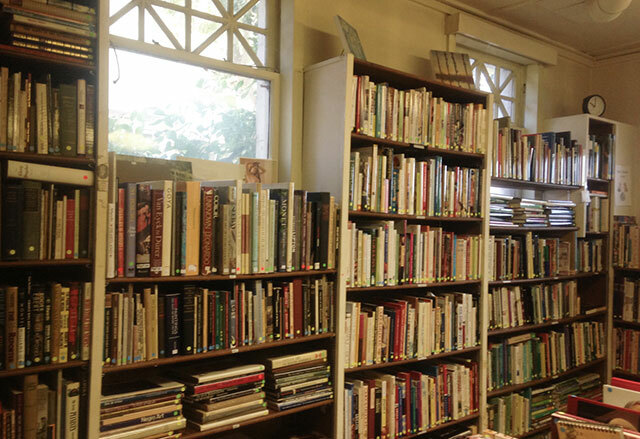 Friends of the Libraries Monthly Book Sale takes place on the first Saturday of every month from 9am to 3pm at the Doris Foley Library for Historical Research at 211 North Pine Street in downtown Nevada City. 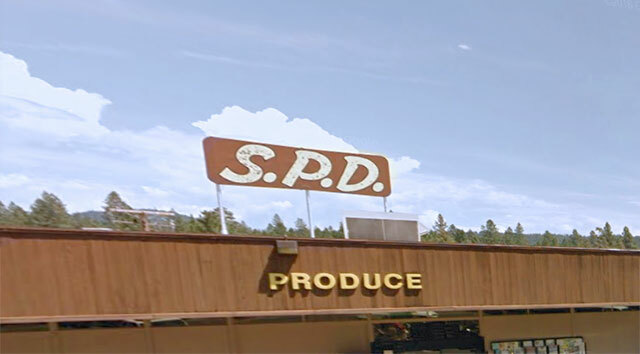 You can’t call yourself a local if you don’t shop at SPD! With their Community Card you can earn 3% of your qualifying purchases for your school or non-profit organization every time you shop. They carry local wines, and a number of other local products including: Bubba’s Bagels, Sierra Sweets Toffee, and local honey. It’s impossible to go to SPD without running into someone you know. 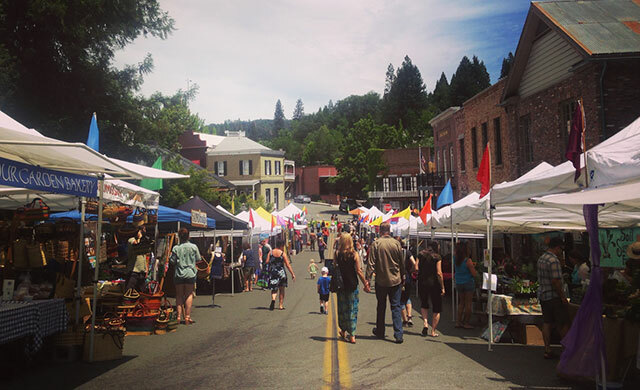 Every Saturday morning, from early June through mid-November, stroll down to The Plaza at Union St. in historic Downtown Nevada City for a small town Farmers Market. You’ll find homemade, organic pastries, organic produce from local farms, local olive oils, handmade bags, hand woven baskets, and a lot of friendly faces. The market has been so popular that it now runs through the winter (limited hours). Riverhill Farm is located only a few miles from downtown Nevada City, off of Cement Hill Road. The farm features more than 40 varieties of seasonally available fruits & vegetables. On Wednesday afternoons from early May through November you can visit the farm and shop the farmstand for fresh picked produce. 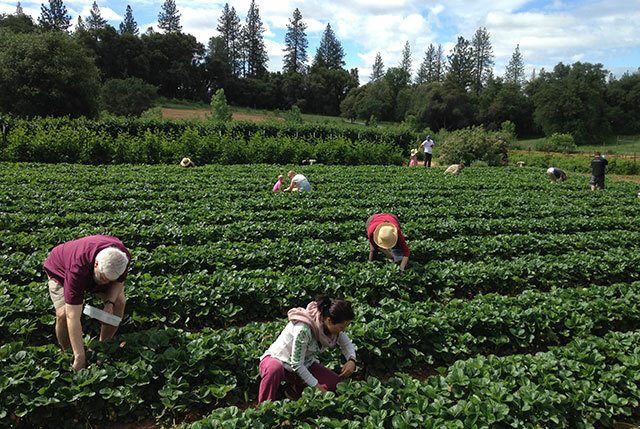 During berry season, visit the farm on Sunday mornings to pick your own fresh strawberries and blackberries. Hours vary, so check the website in advance, or sign up for their newsletter to be notified of farmstand hours and offerings. In the shop you will find a vast selection of bulk Western, Ayurvedic, Chinese, and Culinary herbs. You are invited to come inside anytime to explore the local offerings and wonderful herbs. HAALo provides a support network for practitioners, farmers who grow their medicine, and for those in the community who need healing. It serves as an educational center by hosting annual events and classes focused on herbal plant allies and healing. They also carry a selection of books about herbs, wild crafting, and healing in the store. You won’t find any big box or chain stores in Nevada City. The shops and restaurants are all locally run, and supported by locals and visitors alike! 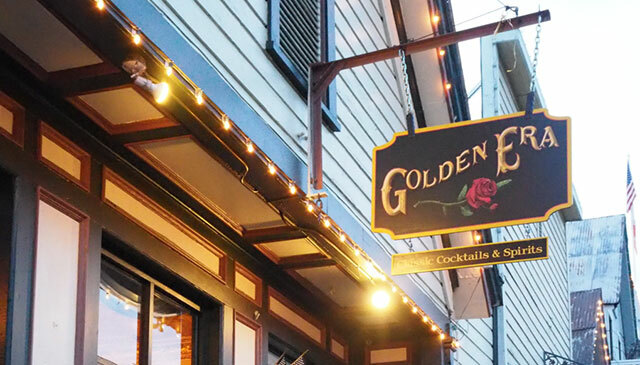 Visit Nevada City and eat and shop local. This entry was posted in Local Businesses, Newsletter and tagged brewery, brewing company, farmers market, fine art galleries, made in nevada city, ol republic, pickle pottery, shop local, three forks. Bookmark the permalink. ← 7 magical and outdoorsy things to do this Spring in Nevada City!